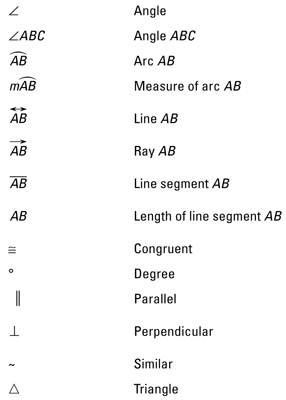 The helpful geometry symbols, formulas, and principles in this cheat sheet ease your learning curve. 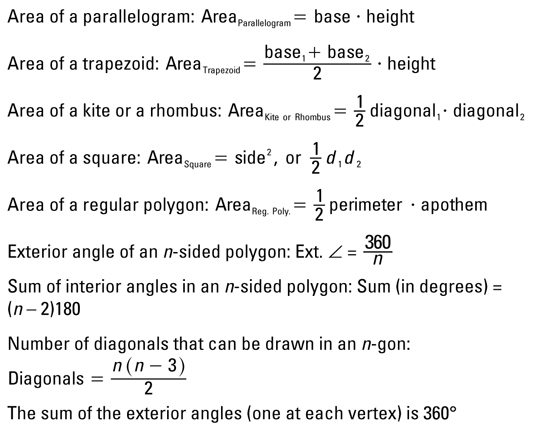 Working with geometry means never being bored: You get to work with lines, angles, and arcs; triangles, circles, and polygons; two-dimensional and 3-D objects; and you even get to use graphs! 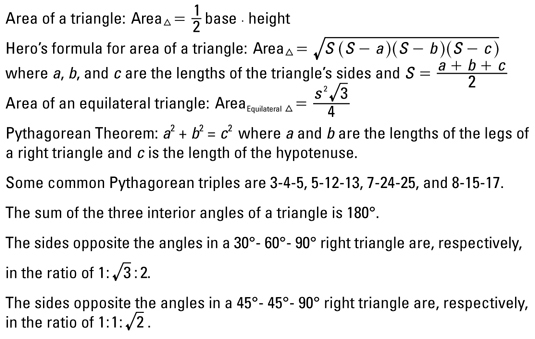 Triangles also are the subject of a theorem, aside from the Pythagorean one mentioned earlier. The Altitude-on-Hypotenuse Theorem makes dealing with triangles just a bit easier. 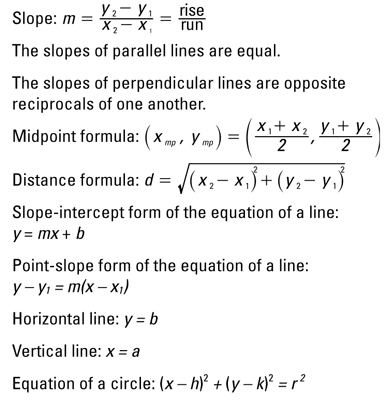 It states that if you draw an altitude from the right angle of a right triangle to the hypotenuse, dividing the hypotenuse into two segments, then the altitude squared is equal to the product of the two segments of the hypotenuse. A leg of the right triangle squared is equal to the product of the segment of the hypotenuse nearer the leg and the entire hypotenuse. Chord-Chord Power Theorem: When two chords intersect, the products of the measures of their parts are equal. 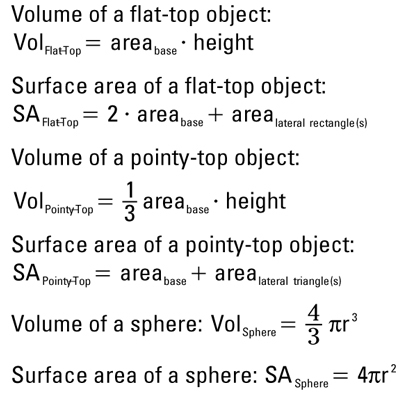 Tangent-Secant Power Theorem: When a tangent and a secant meet at an external point, the measure of the tangent squared is equal to the product of the secant’s external part and its total length. Secant-Secant Power Theorem: When two secants meet at an external point, the products of their external parts and their total lengths are equal.